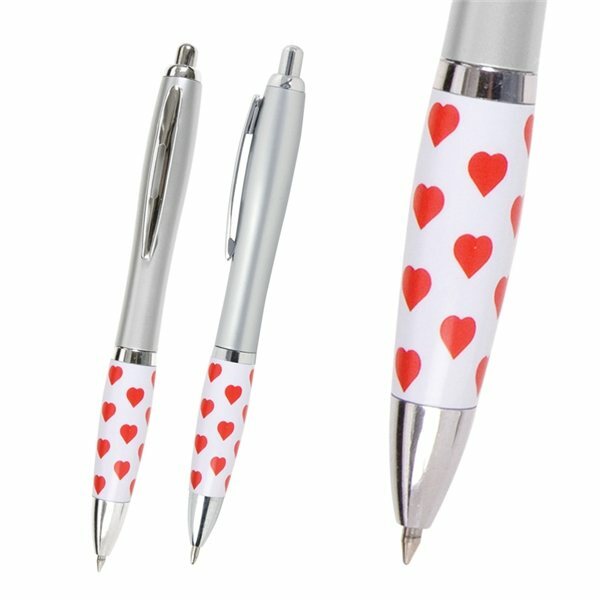 Retractable curvy plastic barrel ballpoint pen with heart/financial theme stock art grip. Click-action mechanism with high quality, black medium point ink. Excellent value. the color of the product was beautiful. In comparing promotional items and quantities on other sites, I found the AnyPromo.com price to be very reasonable. We just screen printed our log and it looked nice. People is very happy when they receive a stress ball, and students come back to our center to get more to help them focus during tests. Clients love them.